Around the world, killer whale populations are falling victim the effects of pollution mainly caused by man-made toxins. These toxins, which are usually made of various chemicals, are used on land often end up entering waterways through runoffs and eventually end up as pollution in the ocean. Various chemicals, such as flame retardants, industrial pollutants, oils, and pesticides have all been known to enter the oceans through waterways and they are all having a major impact on marine wildlife, including killer whales. Because killer whales are known as the top predator of the ocean, it's very easy for pollutants to become concentrated and reach dangerous levels their bodies since these pollutants make their way through the marine food chain. While wildlife experts agree on the fact that pollutants make their way through the marine food chain, some of them often get sorted into the body tissues of animals after they are ingested. For example, In the Pacific Northwest, the marine food chain is consisted of zoo plankton feeding on phytoplankton, krill feeding on zoo plankton, salmon feeding on krill, and orcas (killer whales) feeding on the salmon, which has become endangered because of pollution, over-fishing, and habitat loss. In the case of transient orcas, dolphins, seals and sea lions feed on the salmon, while the mammal-eating transients feed on the very same marine mammals that feed on the salmon. This means that prey animals that contain toxins in their bodies pass them on to animals that are higher on the food chain and because of this, killer whales have been shown to have high and dangerous levels of concentrated pollutants in their bodies. 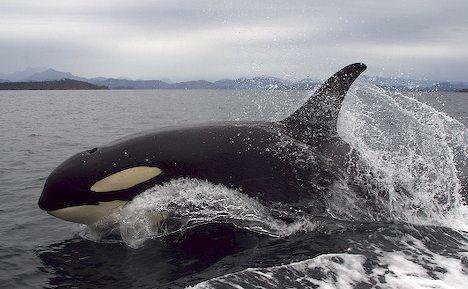 In the Pacific Northwest, resident killer whale populations in Washington and in British Columbia are among the most intoxicated marine mammals in that region due to not only being urban animals, but also, the salmon they depend on is also contaminated with pollutants. Research has also shown that resident orcas have 200 times more pollutants in their system in most humans do. 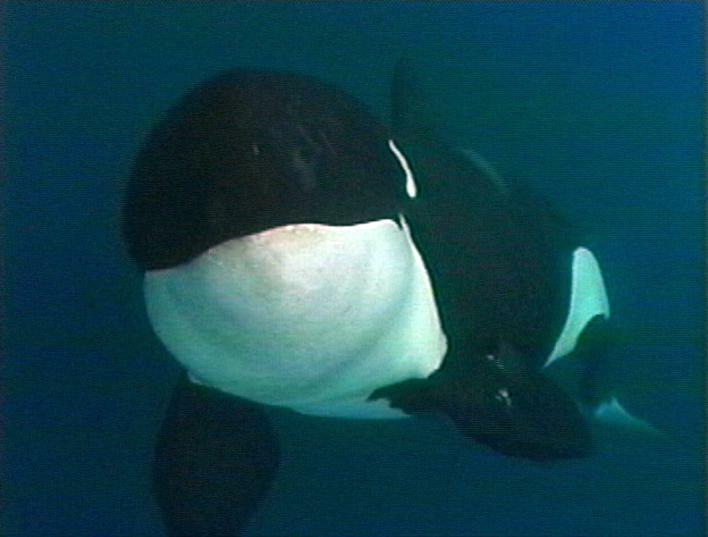 (Photo of resident orca is public domain). In Norway, studies on Norwegian herring-feeding killer whales have found that this population of killer whale has very high levels of PCBs. PCBs are type of industrial chemical that is used in transformers, oils, and insouciance. As a result, this makes Norwegian killer whales have the highest level of containments in high Arctic. 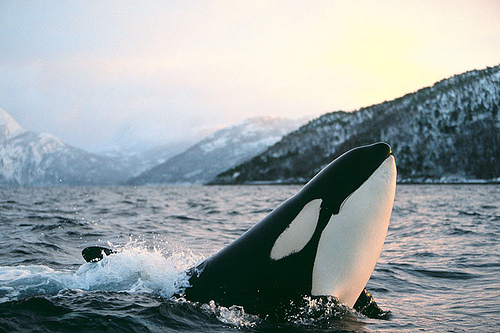 (photo of Norwegian orca was taken by Jonathan Ball). Studies done on the contamination levels of Pacific offshore killer whales have discovered to be very high because they are known to feed on large fish such as great white sharks, and tuna which can bio-accumulate containments over a period of a lifetime. 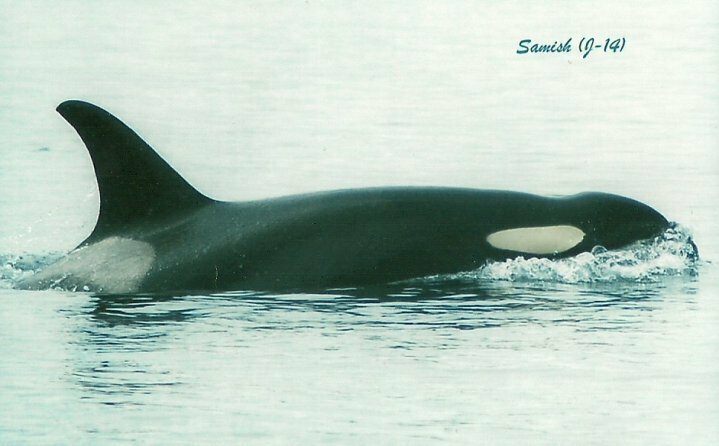 (Photo of offshore orca is public domain). 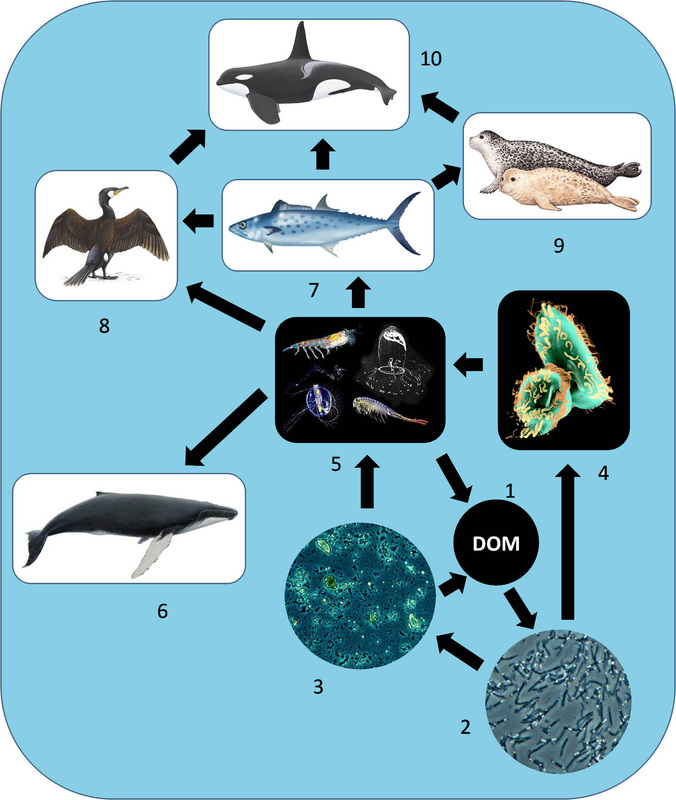 Transient orcas, which specialize in feeding marine mammals, are more contaminated than resident orcas due to dietary differences. Their bodies are so full on toxins that when they are found dead on beaches, their remains are often treated as toxic hazardous waste when necropsies are performed on them. (Photo is public domain). New Zealand is home to a small population of ray-feeding killer whales that have also been known to feed on certain species of sharks. In 2010, a study done by Dr.Ingrid Visser of the Orca Research Trust of New Zealand have shown that this population of about fewer than 200 animals are the most containment animals in the Southern Hemisphere. This could also be due to the fact that the mammals are mainly seen in harbors where such containments can mainly be found. (Photo of wild orca pod off the coast of New Zealand was taken by Dr. Ingrid Visser of the Orca Research Trust). In the 1970’s, various pollutants were banned world wide because of the negative effects they posed both to humans and wildlife. Yet, many of these pollutants can still be seen in the form of containments and in various forms and it’s still to this day having a huge impact on marine wildlife, such as PCBs (polychlorinated biphenyls). PCBs are a type of organic compound that has a 1 to 10 chlorine atom attached to biphenyl, which is molecule composed of two benzene rings. When PCBs are ingested, they aren’t neither metabolized nor eliminated for these fat-soluble molecules go on to accumulate in fats, such as blubber. 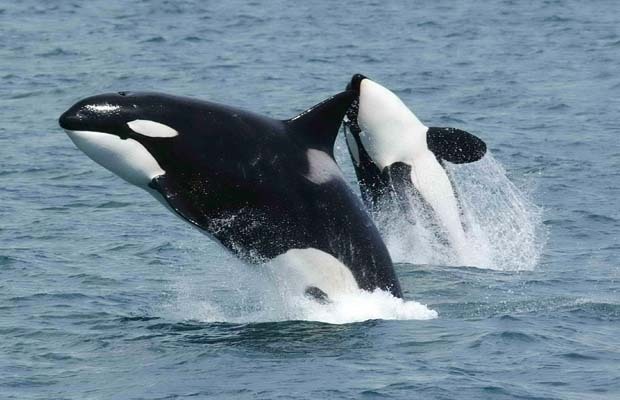 Just to make matters worse for the killer whales, the PCBs are affecting their reproductive health too and this is because they are known to be estrogen imitators and cause low sperm count in both humans and animals alike, including killer whales. Also, out in the wild, when a killer whale calf is born, chances are, it was born with toxins that have been passed on to them by the mother through the placenta and goes on to receive these same toxins it developed before birth by nursing on the mother’s fat-rich milk. In some cases, the calf (mainly the first-born) dies likely due to heavy exposure to toxins. However, calves the mother goes on to have after that have been known to fare better because of the mother’s toxin levels decrease over time. PCBs have also been known to cause other problems too such as cause disease and developmental problems. What can you do to reduce pollution…..
Use biodegradable cleaning products that are plant-based. If you have any questions, or comments about killer whales, please email me at Animaltrainer104@aol.com and I hope you to do your part in caring for killer whales and the oceans by reducing pollution.